Create Send UK | How to import subscribers from a file? Provided you have obtained the correct permission from your susbcribers, importing your subscriber list into your account is a really simple and straight-forward process. 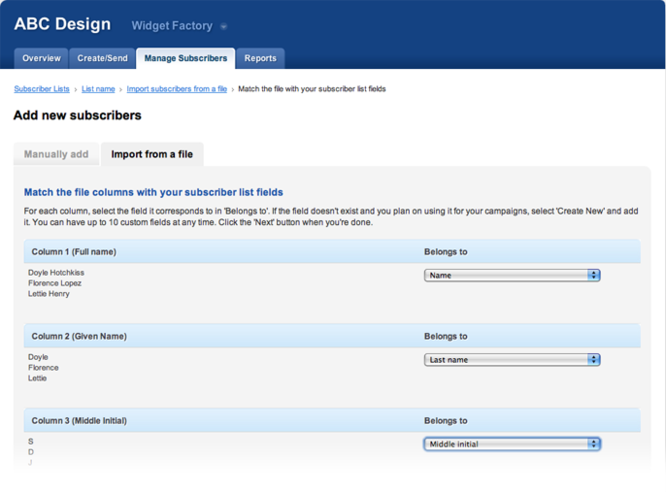 To get started, your subscribers need to be in a comma or tab delimited text file. This is a standard format for storing data and is supported by most applications, including Microsoft Excel, Microsoft Outlook, Outlook Express, ACT! and GoldMine. How do I import an email address file from Outlook? How do I import my email addresses from Outlook Express? How do I import email addresses from my ACT! database into my account? 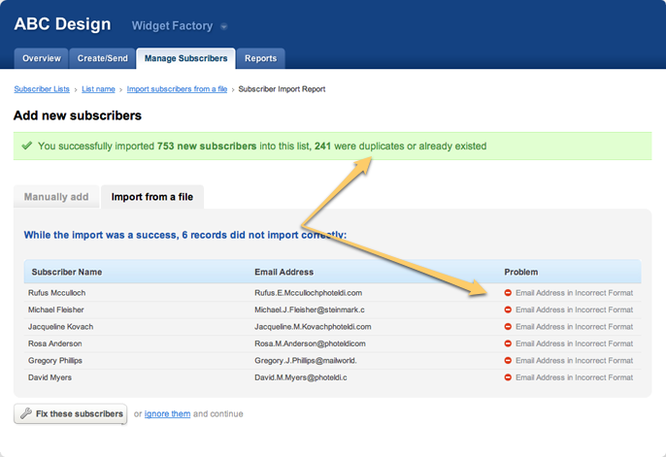 How do I import my email addresses from GoldMine to my account? How do I import multiple value custom fields?